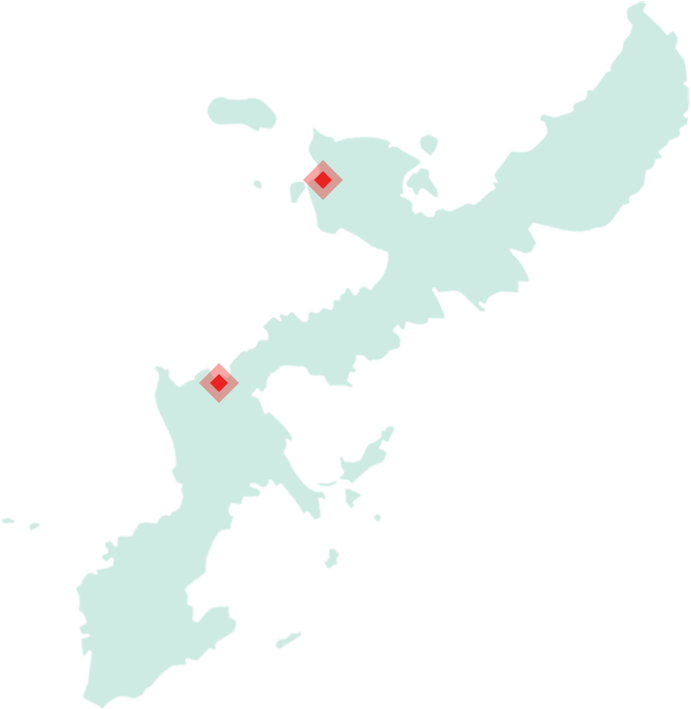 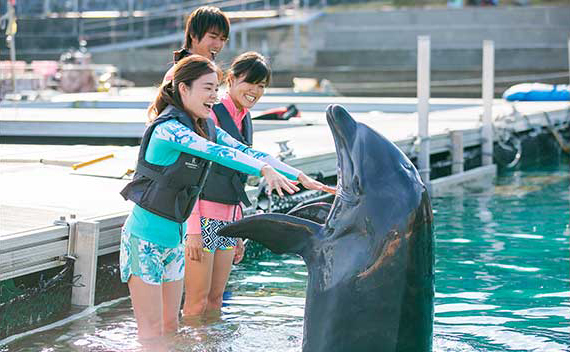 Offers various kinds of programs to learn about dolphins and nature through play at two facilities in Okinawa,JAPAN. For program details, schedule, or entry method, please refer to the official Renaissance Okinawa Resort or Motobu Genki Village websites. 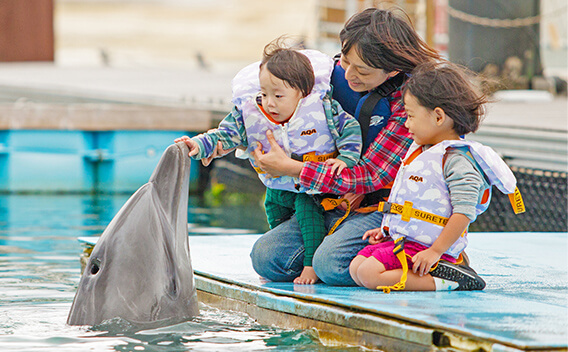 OMRC (Okinawa Marine Research Center) offers educational programs under the theme of "Learn and Play." 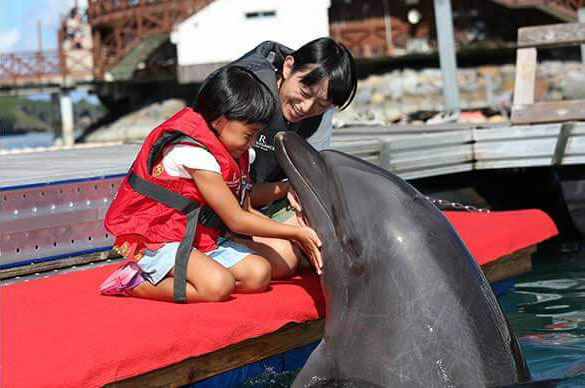 The programs focus on learning animals rather than observing them, mainly with sea creatures such as dolphins. 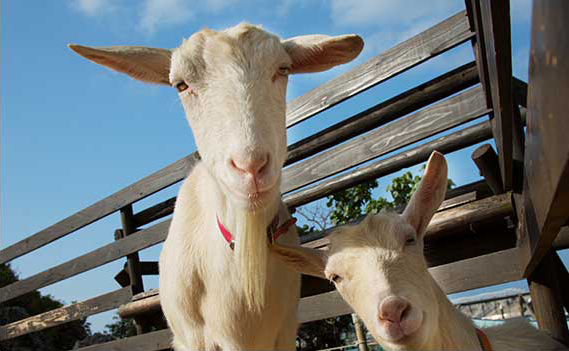 Please enjoy these pleasant programs. 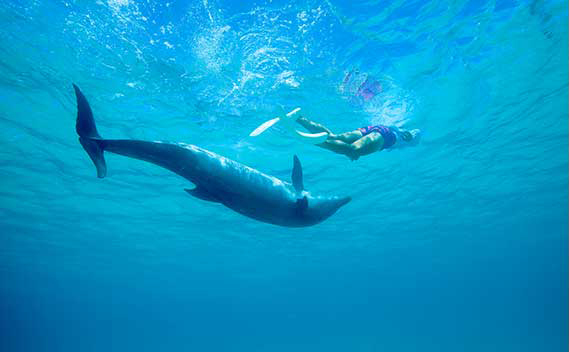 After learning about dolphins, you can swim with them in the blue ocean. 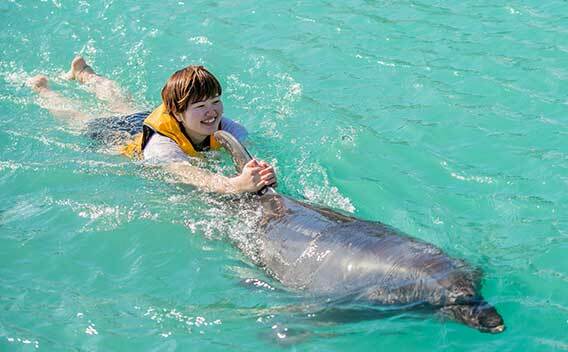 After learning about dolphins, you can swim with them, touch their back and hold their dorsal fin. 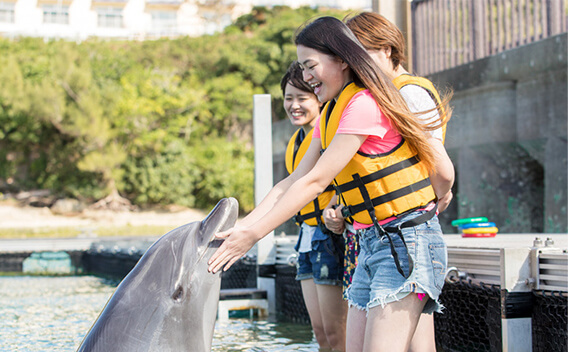 Learn about dolphins and play with them in the shallow sea. 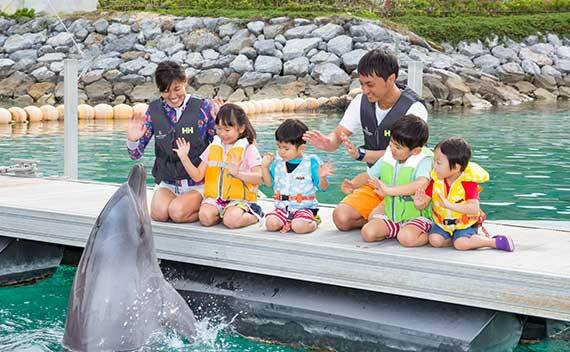 Program to interact with dolphins over the water, recommended for small children. 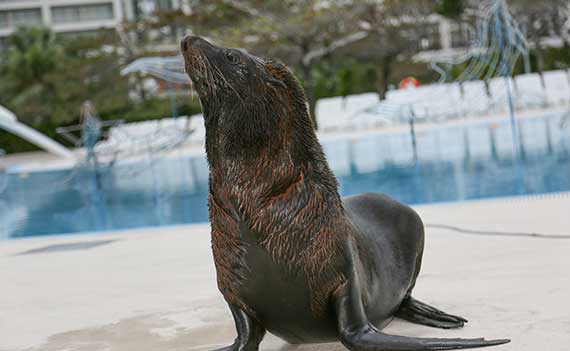 Program to play with South American fur seals. 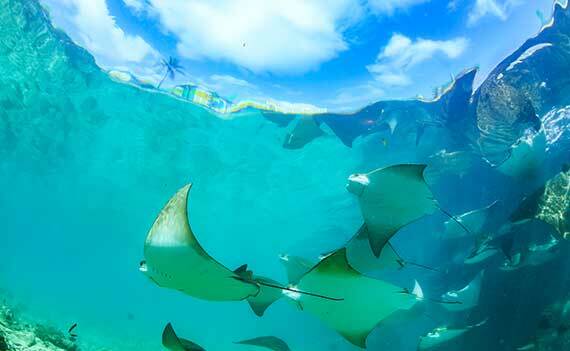 Enjoy snorkeling with rays and sea turtles. 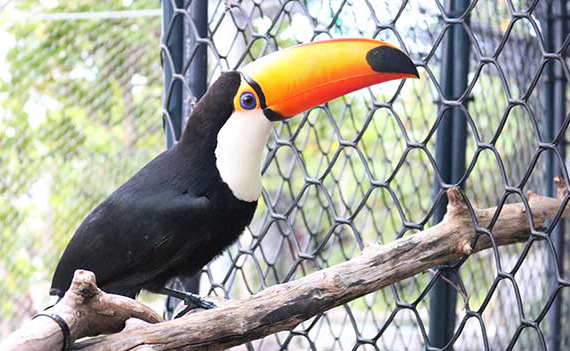 Touch and feed the animals,such as wallabies and toucans. 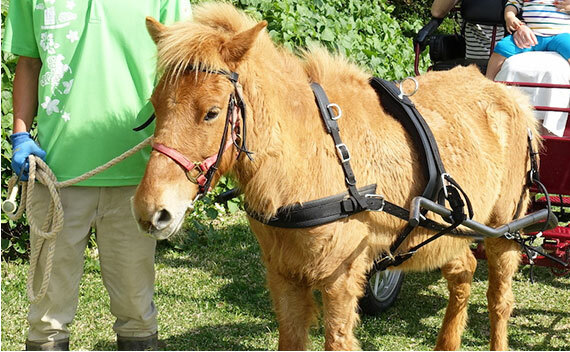 Enjoy interacting with rare animals like Yonaguni horses. 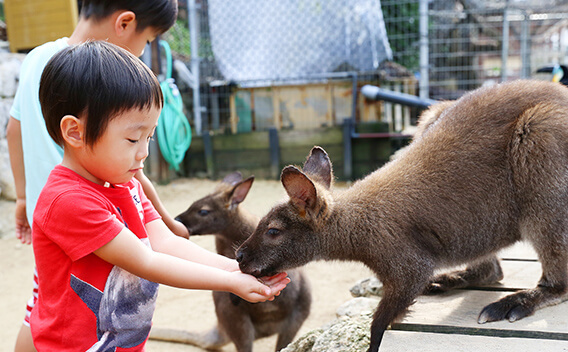 Other various programs are also available. 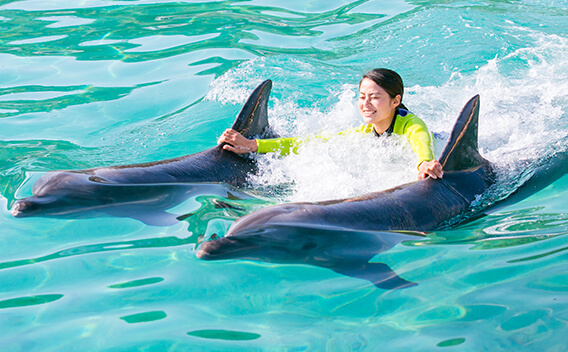 * Please note that each program has different operation standards, entry methods and entry conditions according to facility and season. 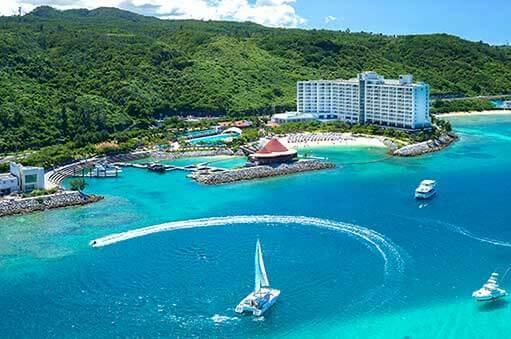 Please contact the hotel you will stay regarding the accommodations or the marine activities (vessels, diving, snorkeling, fishing), since OMRC is a different company from them. 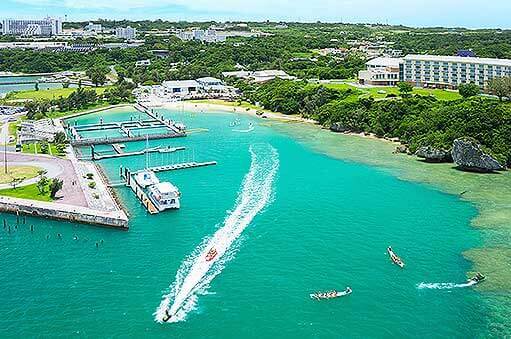 © 2019 Okinawa Marine Research Center.